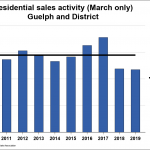 If you plan to sell a house next year, you can thank the “echo boomers,” or children of baby boomers, for keeping the market steady in Waterloo Region and Guelph. 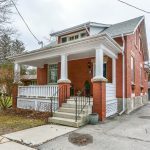 Higher prices and an increase in mortgage rates have made home affordability more of a problem for the average Canadian family, says a new report from the Royal Bank of Canada (TSX:RY). Are You Sure Your Furnace Will Work All Winter? Thinking About Buying a Condo?